There are so many apps for instant messaging on our smartphones these days, that many of us feel overwhelmed by the sheer number of ways we're able to communicate with others. Now it seems that Google Maps is adding instant messaging capabilities to the app, with some users discovering a new 'Messages' menu item in what appears to be a test of the new feature. In case you're thinking of purging Maps from your phone in an effort to stay off-grid, it doesn't look like the new feature will allow you to chat with friends; instead, it's designed to connect you with businesses, which could prove rather useful. If you've ever found yourself frantically searching for opening tImes or you've been unable to call businesses directly to get information, this new feature could be a big improvement to the navigation app. Reddit user sanju2cool posted screenshots of the new Messages menu – although there are no images of actual chats with businesses yet, the screenshots do show that you should be able to contact a company by heading to its Google page and clicking 'Message'. The new feature won't allow you to contact friends, so you don't need to worry about being bombarded with messages when you're trying to navigate somewhere. 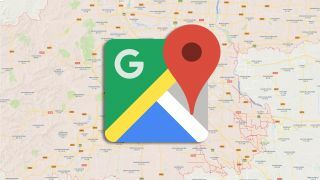 Of course, businesses will need to enable the feature for you to be able to contact them in this way, and, as with any Google Maps test, only a select few users will be able to use instant messaging before it's rolled out to the wider public. There's no word yet on when all users will be able to use the new feature, but it's worth checking your Google Maps app to see if you are one of the few users that have been selected to try it out.